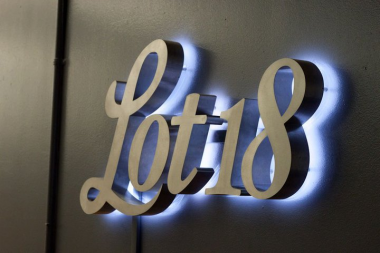 Online wine seller Lot18 is shrinking and refocusing its business in an effort to become profitable. This morning, the New York-based company handed out pink slips to about 25 employees, or about 35 percent of its staff, according to a source familiar with the matter. Lot18 will now employ 46, half as many as it did a year ago. It is the second layoff in the past year for the startup, which started selling wine online in November 2010. The first round was tied to the discontinuation of its travel and food businesses, which it had expanded into shortly before raising $30 million in venture capital in late 2011. Investors include Accel Partners, New Enterprise Associates and FirstMark Capital. This time, the layoffs are connected to a shift in strategy. Rather than exclusively operate as a flash sales company, which sells bottles of wine at a discount to a free membership base, it will also try to sell wine through a subscription model. The model is already well established by others in the industry, such as Global Wine Company, which runs the New York Times Wine Club, for instance, and Direct Wines, which operates a wine club for The Wall Street Journal. The recurring revenue stream is far more predictable than getting members to return to the site and pay for single orders. As it stands right now, Lot18 is a marketplace, so it does not own any inventory or warehouses. Instead, the company’s headcount is a considerable expense, as are its marketing costs to get new members — just like other sites, including Groupon. In addition, it subsidizes shipping, since wine is so heavy and fragile. According to a spokesperson, the new initiative is allowing the company to scale back on the time and attention that the flash sales business requires. However, not all employees will be let go immediately and Lot18 plans to do select hiring for the new business. The cuts impacted all parts of the company’s business, including marketing, procurement and merchandising. Andrew Koch, the company’s VP of product, left the company recently, and we are hearing that Barbara Anderson, the company’s chief counsel, is leaving voluntarily. Lot18’s founder, Philip James, remains with the company and is leading the launch of the new subscription business. In the fourth quarter, the company tested two new subscription services. Customers could either sign up to receive six bottles for $99 a month, or 12 bottles for $149 a month (the first month cost $49 and $79, respectively). Since its launch, the current club has exceeded its growth targets, the spokesperson said. A new product launch will occur in early 2013.